Our campsite was a beauty with a bubbling stream near a railroad track bridge that had not been used in years. The quiet was so encompassing you could actually hear yourself think. The sun smiled at us through a veil of blue sky, white clouds, and a friendly flock of swallows. We rolled up our pants and waded in the stream, allowing the silt on the bottom to squish between our toes. Occasionally, I would feel a fish nibble, making me laugh. We sat on the edge of the stream and let our city skin soak up the warm sunshine, begging for a reprieve longer than a weekend. We fell asleep with a kiss, holding hands and wishing tomorrow could wait a few more days. 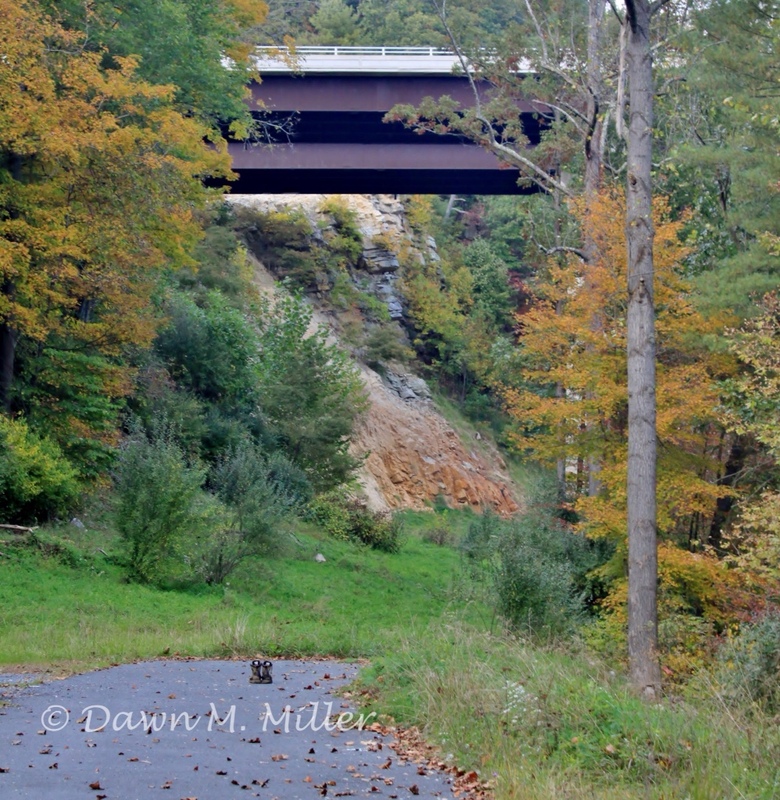 Thank you Dawn M. Miller for our lovely prompt photo this week. 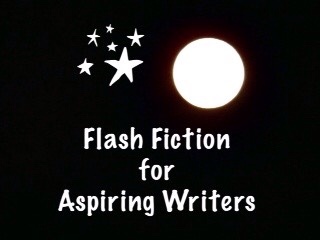 This is my 125 word submission for Flash Fiction for Aspiring Writers Challenge. We are given a photo prompt and 100-175 words with which we use to write our stories. It is fun and addicting! The challenge is open to anyone who would like to participate. For more information, click here. To read great stories by some fantastic writers, click on the blue froggy button below. Thanks Mandi! I call it lackadaisical. LOL! I know a place like that and it holds special memories. Great story! That’s very nice Tessa! Thank you!! that was just magical and lovely!!! As wonderfully romantic as a babbling stream! Thank you Dawn! It was fun to write. How sad that a flash flood carried them both to their death. I could easily relate to this Priceless. The feeling, the wish, the sun…… lovely! Yes, it is easy to relate to! Thank you Colleen! Thank you so much Angie for the kind comment! Aw, very sweet! After all the other stories on this prompt about murder and suicide, this makes an especially relaxing and happy read. Thank you Joy! I am traveling so I haven’t had a chance to read many stories, but I look forward in doing so. Lovely story. Perfect for this beautiful scenery. That’s the kind of day you want to last forever! And, one that is sure to be etched in their memory forever! Great job on the prompt, Joy. Great take on the prompt. Inspiring! This is a lovely descriptive tale Joy, enjoyed the feel of the silt between my toes. That’s a fun feeling! Thank you Michael! A beautiful story. Call me cynical but only fairy tales end that way. Ha!Ha! Yes, I understand. Me too. I do like to believe in love though. Beautiful story, I was right there! Sorry, I missed another one, but soon, I’ll get back to it. I just have a hard time saying no to a writer who wants to post. But folks are probably getting tired of reading my shorts anyway. So a break between is good. Thank you Yolanda! I look forward to you coming back, meanwhile, enjoy your break! Your stories are missed! Thank you for the sweet comment about my story! So divinely romantic! I’m swooning for this relationship, the vivid descriptions, and breath of life in this piece. You had me at “The quiet was so encompassing you could actually hear yourself think. The sun smiled at us through a veil of blue sky, white clouds, and a friendly flock of swallows.” Excellent job! Thank you so much! I enjoyed writing this one. Truly beautiful. I read it with a smile on my face. Thank you Rosy! Such a compliment coming from a great writer! I’m glad you enjoyed it Cat. We all need a getaway, even if it is through words. (I’m at my daughter’s home and tomorrow I go to my son’s home. I told them both, this is the last time I am driving here. The trip is getting too hard on me). I sure hope all is well with you, Cat. Thank you! This was fun to write. …….and I would want to visit this idyllic place over the weekend. …..that you could actually hear yourself think. Such a beautiful line and reflects the tranquillity of the place and mind. Thanks. PJ. I’ll be careful not to do that again. Not to worry Millie, it didn’t cause any problems at all. The descriptions transported me there. So very peaceful. Your words created such a vision and feeling while I read this. Being limited makes it more difficult to express your thoughts, super job. I remembered that feeling of the silt squishing between my toes, what wonderful memories it conjured up…so fun to read! Thank you so much Deb! I really appreciate your kind feedback! You are a sweet heart! Just lovely, PJ. I love the fish nibbling. I want a weekend like this! Very sweet piece of writing. Clean and clear! Thank you Madeeha! I appreciate your comment. A soft place to be at the end of a relaxing day; the safe love of your life. The ending gives the reader a romantic image to stay with. Very nice story. Romantic… seems to me that my hubby and I never do have enough time alone together.